In December 2017, President Trump signed the new tax plan into law. While most of the changes from the plan went into effect on Jan. 1, 2018, they will not affect taxpayers when they file their federal income taxes by April 17, 2018. However, some parts of the tax plan applied retroactively. A small number of taxpayers saw changes to their 2017 taxes as a result. There are also a couple of changes that won’t take full effect until 2019. Let’s take a look at when the provisions of the tax plan will take effect. There were only a couple of provisions in the tax plan that applied retroactively. That means they affected your 2017 taxes (what you filed by April 2018). The majority of the new tax plan took effect on Jan. 1, 2018. These changes did not affect your 2017 taxes that you filed by April 17, 2018. Here are some of the big changes that officially became law at the start of 2018 (and will affect the 2018 taxes that you’ll pay in 2019). Federal income tax rates decreased for almost every bracket. There are still seven tax brackets with marginal rates of 10%, 12%, 22%, 24%, 32%, 35% and 37%. The standard deduction nearly doubled to $12,000 for single filers (up from $6,350 in 2017) and $24,000 for joint filers (up from $12,700 in 2017). The personal exemption, which is $4,050 for 2017, has been repealed for the 2018 tax year (i.e. the taxes you file in 2019). The state and local tax deduction has a cap of $10,000. It had no cap previously. The federal estate tax exemption nearly doubled from $5.49 million in 2017 to $10 million. 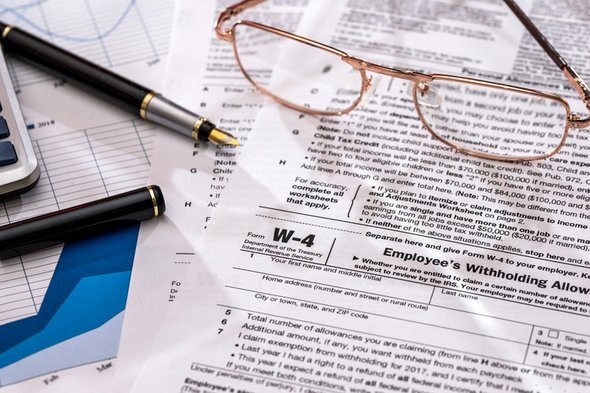 Because of the changes to the federal tax brackets, employers will need to withhold a different amount of tax from their employees’ paychecks. The IRS released their new withholding guidelines mid-January and workers saw changes to their paychecks starting Feb. 15, 2018. This change in tax withholding makes it a good idea to double check your paychecks to make sure that your employer withheld the correct amount. You may also want to check your W-4. That form will tell your employer how much to withhold from your paycheck. The tax plan does include a few provisions that do not take effect until 2019. For one, the plan repeals the individual mandate of the Affordable Care Act (Obamacare). It’s because of this mandate that you need to pay a tax penalty if you do not have health insurance. The tax plan doesn’t repeal the mandate until the start of 2019 though. That means you will still pay a penalty if you don’t have health insurance in 2018. Another change for 2019 is that people will no longer be able to deduct alimony payments from their federal taxes. Most of the new tax plan took effect on Jan. 1, 2018. These changes, like lower marginal tax rates and a higher standard deduction, will not affect the taxes that you need to pay by April, 17 2018. 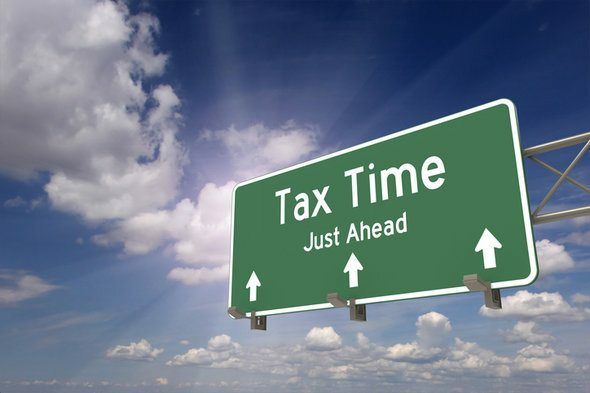 The changes won’t affect the way you file federal taxes until 2019. There are only a couple of exceptions. For example, if you had medical expenses in 2017 that exceeded 7.5% of your AGI, you will be able to deduct those expenses. You will also see changes to paycheck tax withholding starting in February 2018. It’s worth remembering that some changes won’t take effect until the start of 2019. These include the repeal of Obamacare’s individual mandate and the ability to deduct alimony payments from your federal taxes. Do the math on your paycheck. New marginal tax rates mean that employers will need to withhold a different amount of tax from employee paychecks. According to the IRS, 90% of people will see more money in their paychecks. Do the math for your first few paychecks of the new year (especially right after Feb. 15, 2018) to make sure your employer is withholding the correct amount. Here’s a free, easy-to-use paycheck calculator to help you. Double check your W-4. To piggyback off the previous advice, it’s a good idea to make sure your W-4 is up-to-date. The information on your W-4 tells your employer how much you want them to withhold from your paychecks. So if you want to take more control of your paycheck tax withholding, you can do it with your W-4. In fact, it’s a good idea to revisit your W-4 at the start of every year. 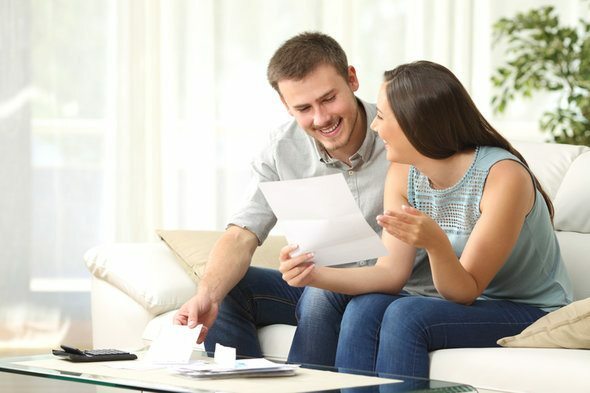 You may want to find a financial advisor to help you with taxes. If you are having a hard time keeping up with the new tax laws, a financial advisor who specializes in taxes will be able to help you make sense of everything. They can also help you create a financial plan depending on how the new tax plan may affect you personally. A matching tool like SmartAsset’s SmartAdvisor can help you find a person to work with to meet your needs. First you answer a series of questions about your situation and your goals. Then the program narrows down thousands of advisors to three fiduciaries who meet your needs. You can then read their profiles to learn more about them, interview them on the phone or in person and choose who to work with in the future. This allows you to find a good fit while doing much of the hard work for you. Parents may want to rethink the way they use money in a 529 savings account. A 529 plan has traditionally helped parents pay for their kids’ college expenses. A provision in the new tax plan will expand 529s beyond just college expenses. Parents can now also withdraw up to $10,000 per year (tax free) to use for public, private or religious elementary or secondary school expenses.